Annabel Evans’ career has gone full circle. 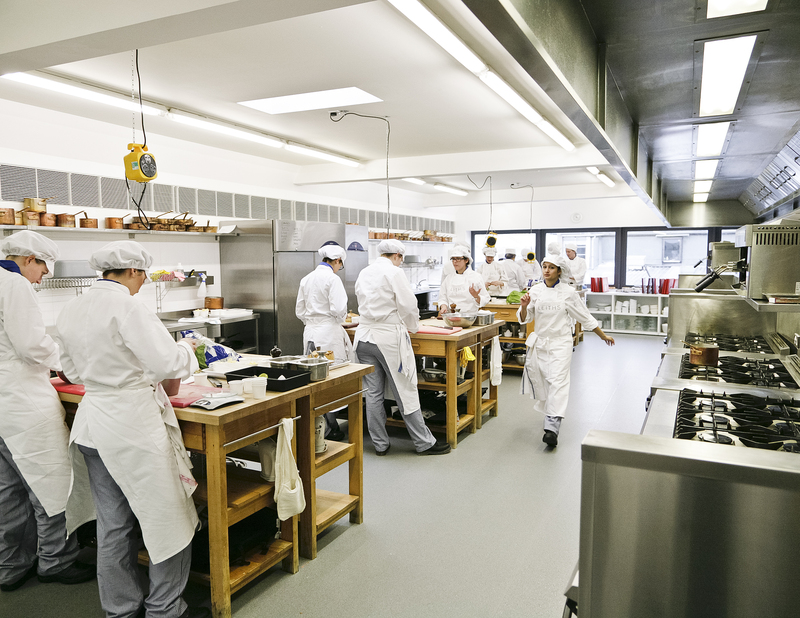 From cookery school student to becoming a chef, and returning to the same school as a teacher, her journey has been exciting. 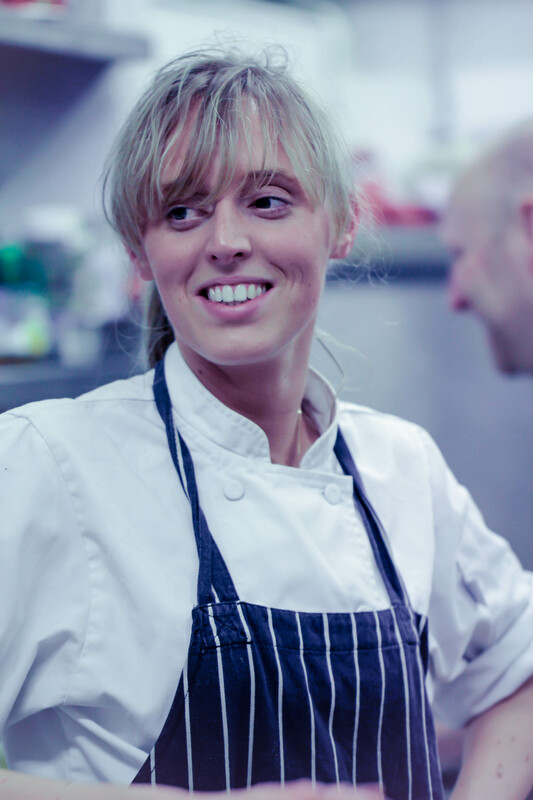 Now a teacher at Leiths Cooking School, one of the most prestigious in the country, Annabel, 29, talks to List for Life about why doing a job you love is the most important thing, how cooking isn’t as glamorous as you might think and what it was really like to work at Heston Blumenthal’s The Fat Duck. 1. Tell us about your career journey. How you got to where you are? I went to university and studied English and Art History. From there I went and worked in publishing but didn’t stay very long because I realised that an office job wasn’t for me. I decided that I wanted to go into food but I didn’t have very much experience. I went to Leiths and did the full diploma and that was about five years ago. When I finished the course I went and did some private cheffing for a family in France for a bit and then I went and worked at The Fat Duck. For three years after that I ran a catering company with a friend, a girl who I trained with. She is still running the business but I decided move on. I have now come back to Leiths to teach. It’s been a whirlwind of a career path. 2. Did you always want to go into the food industry? When I left university, food wasn’t something that was on my radar as a career. I was expected to go to uni and get a normal job. Now I think it is more encouraged to pursue vocational interests, especially as uni is now so much more expensive. I wouldn’t have changed going to uni, I like having a degree and I really enjoyed what I studied. 3. What was it like to work at The Fat Duck? Working there was a real learning curve for me, it was amazing.. It was a lot of hard work and really long hours. I was in the Development Kitchen during my three-month-long placement there so it was really interesting. The Fat Duck is definitely an amazing one for the CV! 4. 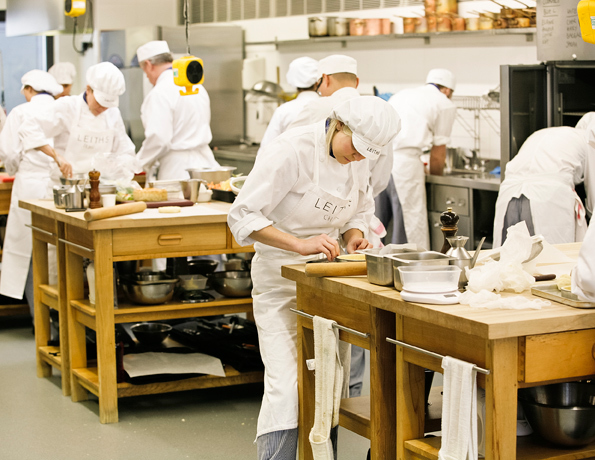 What would your advice be to someone starting out in the food industry? The great thing about the food industry is that it is so diverse. There are so many different options so I would say that unless you are really intent on working in restaurants or doing something specific then keep your options open. Get as much experience as you possibly can and that is how you will find out what area you want to be in. I didn’t really know what I wanted to do and after finishing my training at Leiths I decided to get as much experience as possible before I decided which path I wanted to take. You can be surprised sometimes by what you like. We have a lot of students who go and do work experience in restaurants and think that they are going to hate it, but they actually find that they love it. It’s all about being open to ideas. 5. Do you think that the food industry is glamorized? We’re really lucky in that the industry has skyrocketed. Celebrity chefs are all over TV and people are releasing books left right and centre. That is brilliant in some ways but you have to be careful. There are lots of Instagram stars with book deals off the back of that, and you do wonder how many actually do the hard graft. The food industry is glamorized but it is hard if you are doing the job. You are the one cleaning the bins at the end of a jobs, you are the one working 14 or 15 hour shifts. It’s a really brilliant industry to be in but you have to be prepared for a hard slog. I wouldn’t want to be doing anything else but I would say to people going into the food industry that they should keep their eyes open. It’s not an insanely well-paid industry, it is hard work physically, but if you love what you do then I think that is the most important thing. You have to work for a really big chunk of your life so I would rather be doing something that I enjoyed. I never get that feeling of not wanting to go into work. 6. What made you think the publishing wasn’t for you? I loved the people that I worked with but I just got bored and restless. Sitting down all day just wasn’t for me. Working in food means that I’m always running around. 7. What kind of people come to study at Leiths? We get people of all ages; the youngest students are around 18 and then the oldest are probably around 50. It’s really diverse which makes teaching interesting. We get people who want a career change and we get people who don’t want to go to university but want to have qualifications in a vocation. 8. What do you think are the biggest challenges facing young people today? Definitely the cost. Coming out of university with zillions of pounds of debt must be quite daunting. I don’t think that young people are given enough encouragement to do something vocational. Some people who are doing degrees that they aren’t really sure about could benefit from doing something a little more hands on. Any course that gives you the tools to go and work in a specific industry straight away is practical and helpful. 9. Where do you look to get advice? There are a lot of things, like finance, that unless you are given exposure to them then you don’t know where to look. There are some things that aren’t taught or on the school curriculum so unless you have parents that teach you these things then it’s very difficult. Those life skills, knowing about savings and bank accounts and all those kinds of things, are really important but can get ignored. I’m lucky in that my mum always made me really independent. Doing practical studies is actually really important.